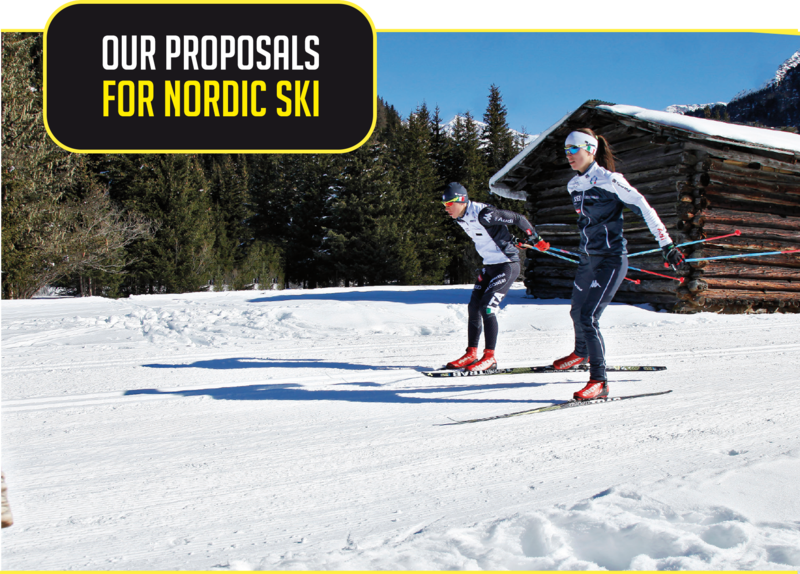 For a lightweight ski that is reliable and easy to use you need to find the best way to combine flex and torsional rigidity. 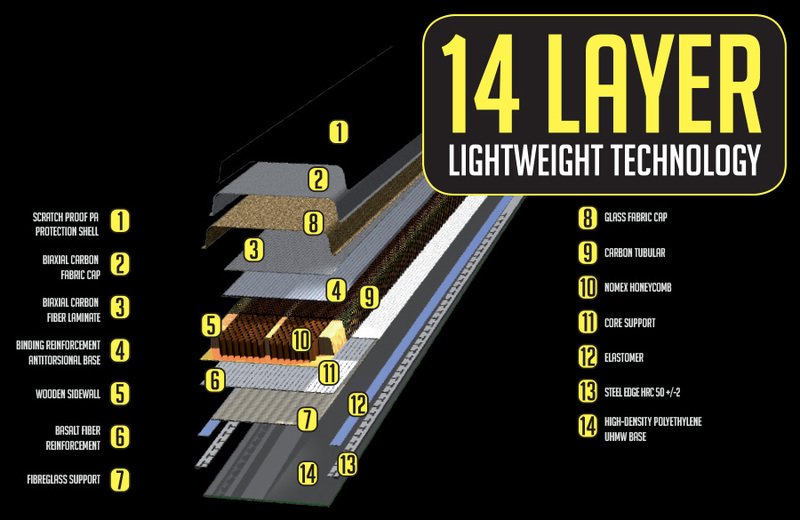 Hence we have developed a lightweight technology with 14 different layers to achieve flex performance, anti-torsional strength and maximum reliability allowing us to model the structure of the skis with no half-measures. This technology stands out for combining an extremely light core with maximum anti-torsional strength and at the same time able to provide the right amount of torsional rigidity and a soft, continuous flex up to the ends. 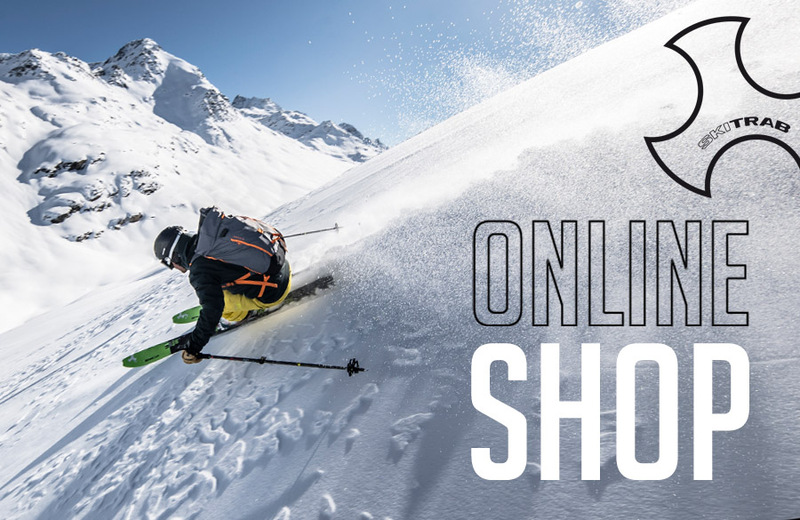 14 different layers wrap around an ultralight core in order to reach the desired flex values without compromising the stability, torsional flexibility and durability parameters of the skis in any way. 14 layers: a Ski Trab trademark. TITANIUM core: lightweight - elasticity and functionality! 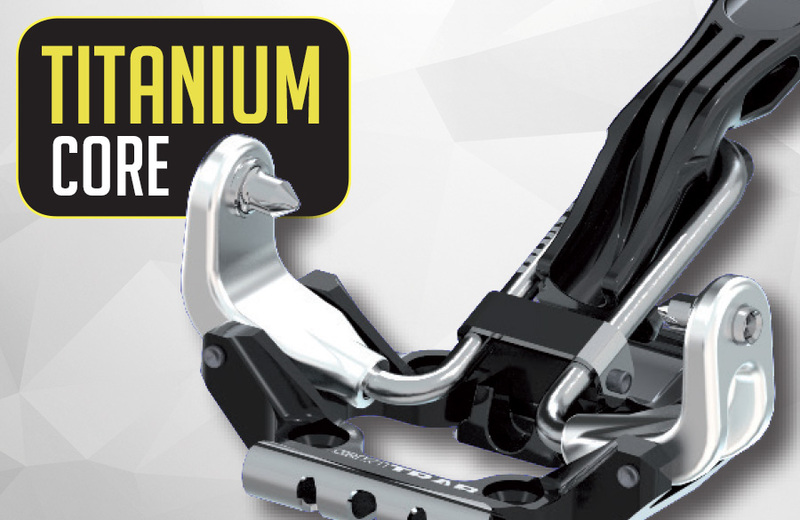 One simple component in Titanium specially designed in its shape and structure links the two jaws in the toe unit. This extremely simple mechanism offers a significant guarantee of functionality and reliability. The toe unit jaws open with a light pressure on the front lever. This special elastic component in Titanium permits the toe unit to adapt perfectly to all types of boots, guarantees that the boot remains fixed in place and with the help of some particularly well finished and crafted pins it can clean out the boot inserts during use. The Titan system allows the jaws to work independently, unlike a traditional pin system where the jaws move symmetrically, reducing the chance of accidental release. The boot hold is therefore more effective and safe. The Titanium element ensures remarkable elasticity that allows the binding to absorb the impact of falls. In this way the binding parts, the ski and the skier themselves experience a hit that has been absorbed by the elasticity in case of bump. ISMF World Cup: Overall Trophy back on #skitrabber! ISMF World Cup: the Overall Trophy is still for #skitrabber! The race season is (almost, Mezzalama missing) over and the Team #skitrabgara was all time long on the top level! Robert Antonioli, after the success of 2017 and the second place in 2018, is the new King of the World Cup! After a stop in Albosaggia thanks to Michele Boscacci (now 3rd), the Trophy is back in Alta Valtellina and Italians are always leading the Overall. The combination Made in Bormio-concept and the athletes coming from this valley are from the beginning of the Skimo-Race history synonymous of winning! The great season for the team #skitrabgara is confirmed on the Overall podium with Anton Palzer from Germany and Michele Boscacci (La Sportiva / Trab)! In the ladies, important 5th place for the Swiss Marianne Fatton, at her first season with the Senior. The Espoir category has been leaded by Giulia Murada, in the first season Espoir with the 4th place of Ilaria Veronese; in the men Davide Magnini (with Titan bindings) is the leader and Maximilien Drion and Arno Lietha just out of the podium. First places even in the Junior where Ekaterina Osichkina (Russia) and Aurèlien Gay (Swiss) confirmed their leadership: second place for Samantha Bertolina and Giovanni Rossi (LaSpo/Trab). Full of success even in the disciplines with Giovanni Rossi, Ekaterina Osichkina, Davide Magnini, Giulia Murada and Robert Antonioli leader in the Individual, in the Vertical the Russian Lady, Magnini, Giulia Murada and Victoria Kreuzer are the best of the season where in Sprint we had in the top Ekaterina, Arno Lietha (Espoir) and Marianne Fatton (Senior). On 72 trophy, Ski Trab in the Season 2018/19 is on the top 38 times! 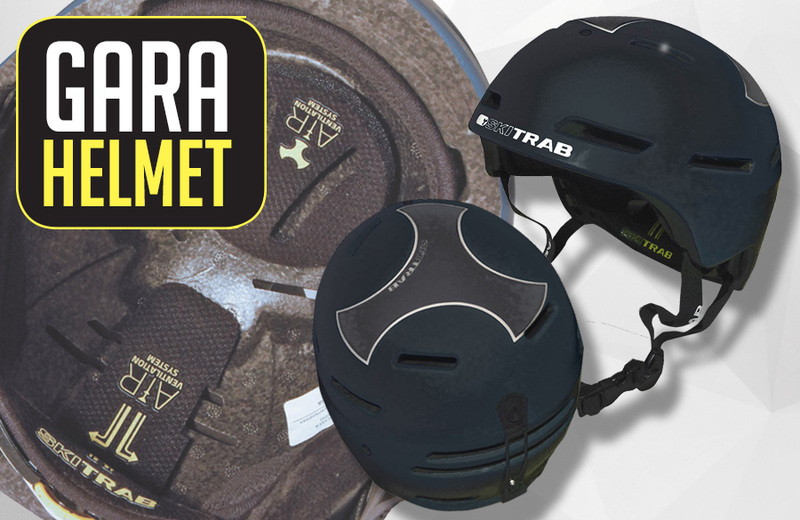 New GARA HELMET with DOUBLE CERTIFICATION: light and protective! Are you looking for the Double Certification helmet, as now requested by La Grande Course for the incoming MEZZALAMA Trophy? Here the new SKI TRAB GARA HELMET! Maximum safety in just 280 grams for the GARA HELMET Ski Trab: double certification (mountaineering CE EN 12492 and downhill CE EN 1077-B) it’s approved by ISMF rules and it’s available in two different colors (light blue / black) and two sizes (S-M / L-XL). Made in polycarbonate with 6 holes Air ventilation system with removable padding and breathable antibacterial treatment. 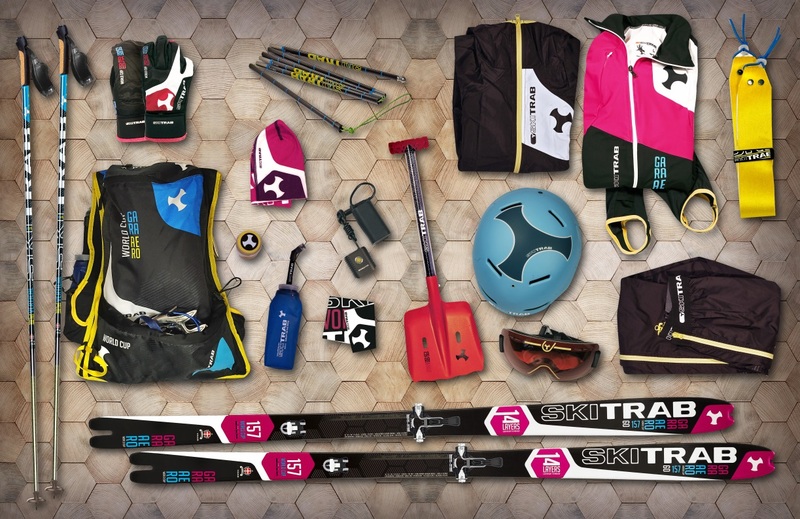 Comfort and safety for the #skitrabber! - Select the article you are interested in and you will receive it directly at home (payment via paypal or credit card). - Book and Pick-up: choose your article, book and pick it up in one of our partner shops in Austria, France, Germany and Italy. You could take advantage of the active promotions and services in shops! 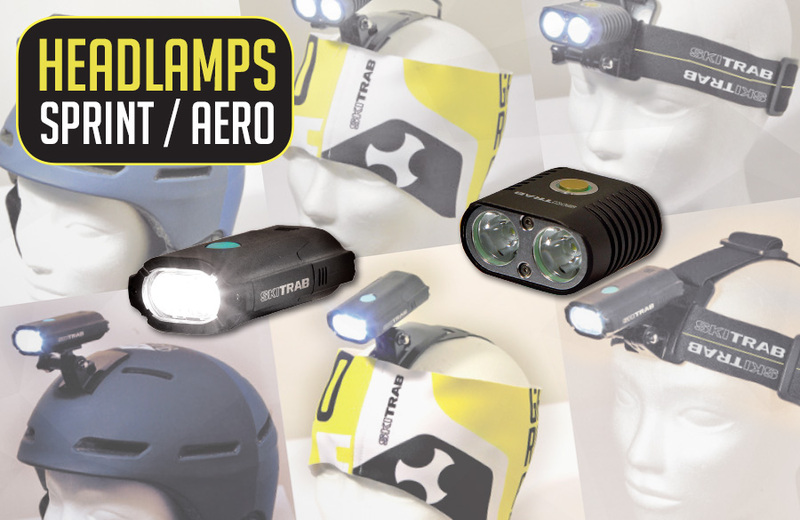 Two headlamps for guaranteed outdoor use - presenting the new sprint and aero lamps! The sprint headlamp has a luminous flux of 800 lumen at maximum intensity (out of 4 levels) and a feather-light weight of just 86 g. The advantage of the Sprint is the absence of the battery pack, it can be recharged via micro-USB. It has 2 hours of autonomy at 400 lumen and the detachable battery is 1.100 mAh. The Aero headlamp goes up to 2,000 lumen, to guarantee maximum light range in all conditions, even for fast descents like ski touring races. 4 levels of intensity, weighs 267 g (including battery pack); lasts 3 hours at full power and IP66 rated waterproof. Thanks to the Go-Pro supports, both headlamps can be mounted on a helmet, a headband or an elastic band.